A week ago, I picked up a bag of organic chia seeds from Trader Joe’s. I believe chia seeds first entered my consciousness when I saw a pic dream hampton posted on twitter a while ago. It was a glass of water filled with weird looking gelatinous balls. My knee jerk reaction was “yuck.. what the hell is that?” But my curiosity was piqued. And I dig dream, so I figured there must be something good about these odd looking critters. Anyway, I finally tried them myself and began doing a little research. Apparently, chia seeds are the latest “superfood” , eaten by the Aztecs and renown for its protein, antioxidants and fiber. There is some debate over whether their omega 3’s are actually beneficial. Regardless, people seem to think that chia has all kinds of magical powers. It’s supposed to provide an energy boost, assist with weight loss and soothe the body with its antioxidant properties. And since the seeds expand into little balls of gel with a crunchy center, they can be used to thicken drinks or to make pudding. I now add chia seeds to my water and smoothies. 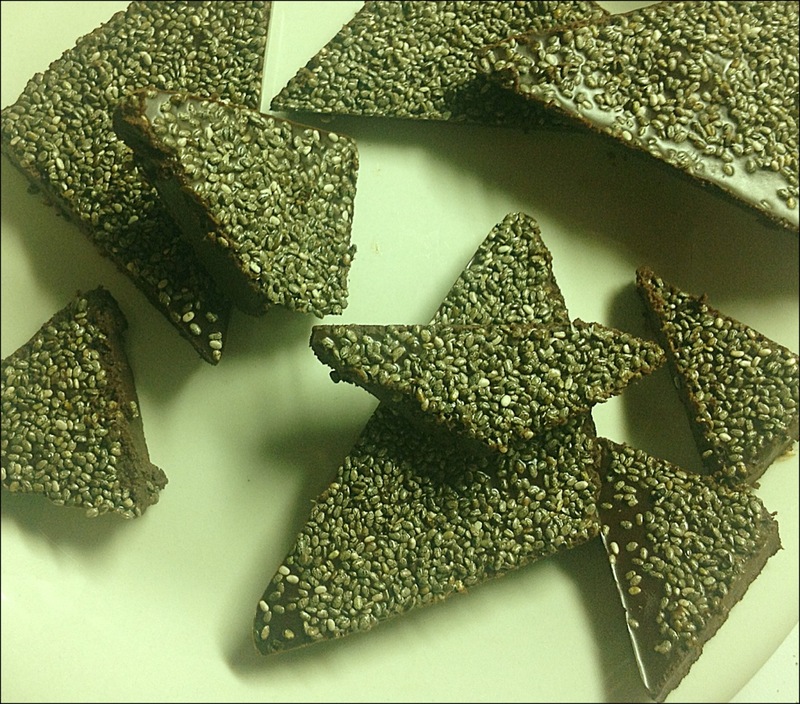 Tonight, I tried my hand at chia chocolate. As with all of my previous batches of raw chocolate, I’m using a basic recipe from the Rawtarian. I was concerned that the chia seeds would begin to gel and expand in the chocolate, as they do in liquid. But they remained hard and crunchy – probably because I put the batch in the freezer immediately after making it. I must say, it turned out to be pretty fantastic. 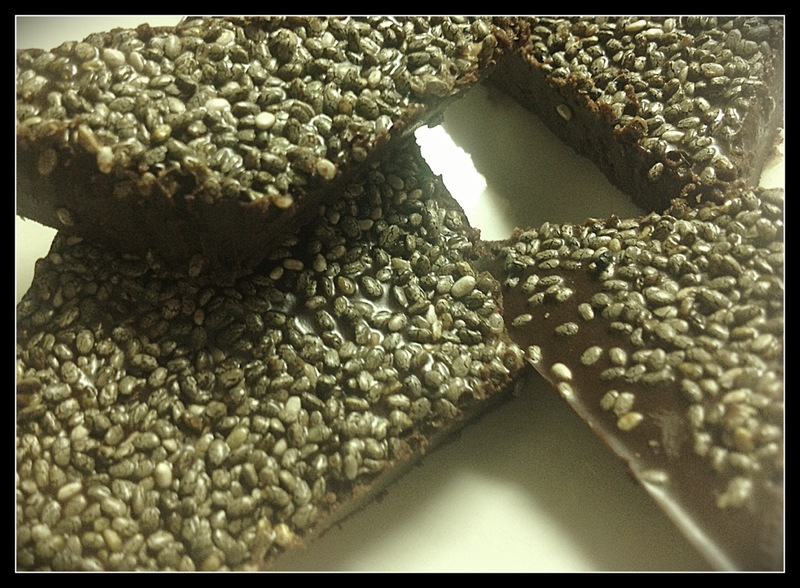 And so it is that I’ve made the ultimate super food snack: coconut oil, raw cacao AND chia seeds. Organic, vegan AND gluten free. I just might start speaking in tongues any minute now. Hallelujerr!